"Dry feet" syndrome is a very common and potentially painful condition. I have seen many people suffer from cracked heels, itchy and dry feet. Believe me, it can make even the simple act of walking, very painful. Let me explain that the soles of your feet have a tremendous number of sweat glands. In fact there are 250,000 sweat glands on the bottom of a pair of feet. Imagine that!! These sweat glands are producing micro-droplets of sweat that quickly evaporate and remove heat from the body. The problem arises when our feet are regularly wrapped up in both shoes and socks, which of course, is necessary. However, the sweat and heat get trapped making the feet a breeding ground for bacteria and microbes and possibly leading to infection, as well as dry, cracked and inflamed skin on your feet. These skin problems dealing with the feet may appear at any age. Whether from enclosed shoes, work, the environment or a physical condition such as psoriasis, eczema, diabetes, or dermatitis , the skin on your feet need great care. Unfortunately, they tend to be the most neglected area on the body. Calluses: are hard, thickened areas of skin which form on the bottom of the foot and can also be found on the toes. Over time, walking straight becomes a problem. Dry Skin: skin on your feet can sometimes become dry and cracked, particularly on the soles where the most pressure is put. In time, this can lead to chronic scaling and itching. Constant splitting in between the toes can become quite painful. Infections: good hygiene is important to prevent dry feet and infection. People with diabetes are prone to foot infections from poor circulation and a loss of feeling. Itchy Feet: severe dryness can lead to itchy red skin on the feet. 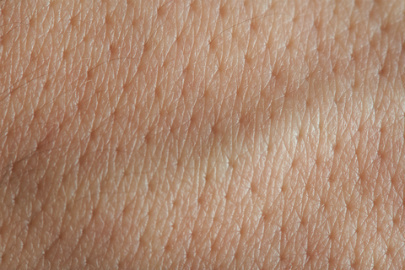 Constant scratching can make the skin split and peel. Psoriasis, Eczema, Dermatitis: these are conditions that many times appear on the feet. Compound the scaly, itchy symptoms with bacteria growth and sweat and the problem worsens. Athlete's Foot: is a parasitic fungal infection of the epidermis of the foot that produces scaling, flaking, itching, blisters and cracked skin over the affected areas. . The term "athlete's foot" refers to the disease and not the micro-organism or fungus that causes it. Bunions or Hammertoe: are boney conditions can cause constant rubbing inside your shoe and result in irritated skin and subsequently, dry feet. Nail Fungus: these infections usually develop on nails continually exposed to warm, moist environments, such as sweaty shoes or shower floors and can irritate surrounding skin. Scratching and rubbing can lead to further complications. Certainly, never try to "file down" hardened skin or calluses on your dry feet with a pumice stone since pumice is porous and can harbor harmful bacteria. A daily foot care program should be designed to help you prevent dry feet as well as provide proper care for already occurring problems. 1) Check Your Feet - check feet every day for blisters, cuts scratches and nail problems. 2) Hygiene- wash your feet daily using lukewarm water with mild, "non-soap" anti-bacterial cleanser . By reducing the bacteria count, you will minimize the risk of infection. Remember, bacteria can instigate a number of irritating and often debilitating problems so don't skimp on this one. 3) Proper Environment- always dry your feet thoroughly, especially between your toes. This is important to prevent development of breaks in the skin as this can lead to fungal infection. 4) Moisturize - Moisturize - Moisturize! - use a highly therapeutic cream designed to replenish much needed moisture to dry feet that have cracked and flaky skin. This cream should penetrate 7 layers deep and apply it without skipping even a day! Your feet work hard and they need daily attention. The best foot cream should contain vitamins, plant extracts, shea butter and urea to repair and hydrate problem dry feet quickly and stop the itching associated with fungus infection, psoriasis, eczema and dermatitis. 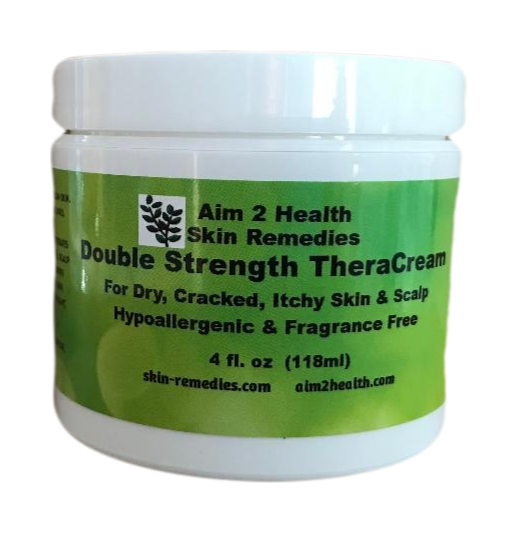 A cream that also carries with it anti-bacterial, anti-fungal and anti-microbial properties is CRITICAL. And NEVER use anything on your dry feet that contains the ingredient MINERAL OIL since this a by product of making gasoline from petroleum....imagine that!! Add to this the fact that the molecules of the mineral oil are too large to even pass the pores of the skin and will only sit on top of your skin "sealing in" the germs and suffocating your already thirsty skin. This daily foot care program is designed to help you prevent and repair foot problems and take proper care of your feet. 1) First, use a non-soap anti-bacterial cleanser as your ONLY foot cleanser to cleanse away skin bacteria. When your feet are clean you will do much to keep harmful germs that cause infections and odors away! And don't forget to dry feet carefully. 2) Then apply a therapeutic cream that is also anti-bacterial, thoroughly rubbing into the soles and heels, particularly areas of thick or rough skin to restore and protect them. Do this EVERYDAY! Your feet deserve it and need it to stay healthy and to keep your skin moist and problem free! Letter to Nanette: I have diabetes and I am on my feet constantly at work. Due to my condition and standing all the time, the skin on my feet and heels would dry and crack so extensively that, at times I would get sores that were gaping and seeping and would never heal. I was constantly in fear of getting an infection that I'm ashamed to say it but I would tape the skin together before going to work in the morning. I tried the wash and cream you recommended for diabetes foot conditions and I am so thankful with the results. My skin is healthy again and I've thrown away the tape! B.T., Newark, N.J.
Below you will find a link to the natural products I recommend that, in my professional opinion, work BEST for dry feet. my feet are hurting to walk.